By Gavin Dalton | March 27, 2019. 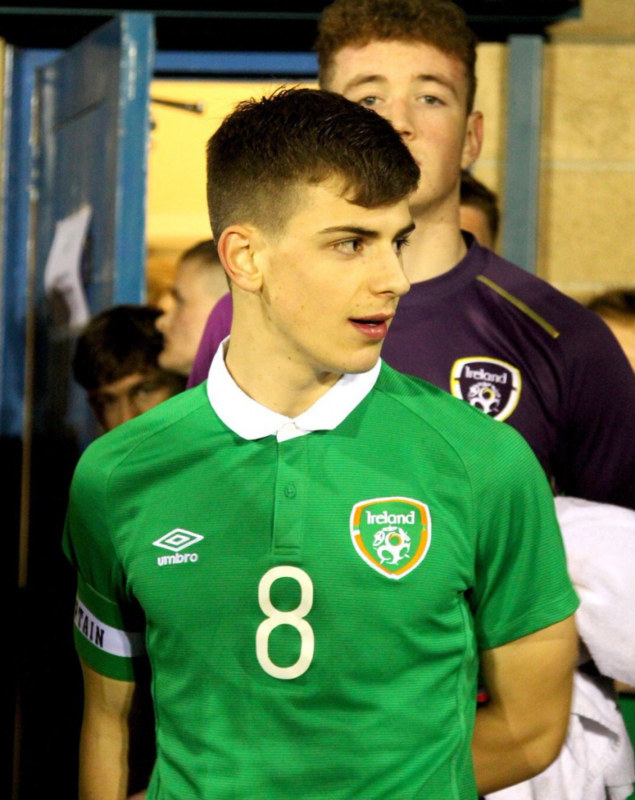 Ireland’s U21 football team overcame the challenge of Luxembourg Sunday, to kick start their Euro championships qualifiers in impressive fashion. Following a cautious opening from both sides at Tallaght Stadium, Ireland scored twice in four minutes through Adam Idah and Neil Farrugia to take full control of proceedings. Norwich City teen Idah then notched his second 68 minutes in to see out a comfortable victory for Stephen Kenny’s charges. Dublin was well represented on the night, especially from local based lads including Darragh Leahy and Dan Mandroiu (Both Bohemians) and Jamie Lennon (St. Patrick’s Athletic) who all played on the night. Pivotal to the victory was Brighton and hove Albion midfielder Jayson Molumby. The Waterford man, aided by West Ham youngster Conor Coventry, bossed the midfield and was central to most of Ireland’s good play. Following the victory Molumby said securing maximum points from their first outing was vital. “You might struggle to believe it, but he wasn’t all that impressed with us at half time. Besides captaining his nation to victory, this was a huge game for Molumby on a personal front, as he just got back on the field following a lengthy injury. Molumby fell victim to a nasty knee injury in November of 2017, which left him sidelined for 15 months. Following intense recovery sessions and hard work by the Brighton backroom team, the teenager found himself back playing football as recent as February, so insists it was a significant night for him. “It was a mad feeling getting back out there. After 15 months of watching on, I wasn’t even expecting to be in the international scene. Molumby put his return to the game down to “hard work and belief” from both him and the staff at Brighton, and said the squad will look to “kick on” for the remainder of the qualifiers.